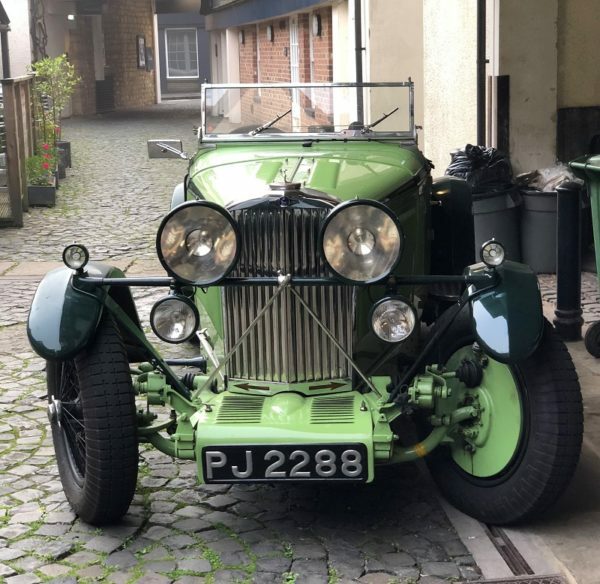 The 2018 SAHB Autumn Seminar, with the AGM and Motoring Literature Fair, was held at The Sir Henry Royce Memorial Foundation in Paulerspury on Sunday 21st October 2018, after an excellent informal dinner the evening before at the Villiers Hotel in Buckingham. This was also the occasion for the presentation of the SAHB’s Michael Sedgwick Award for the best motoring book on an aspect of British motoring, and the new Malcolm Jeal Award for the best motoring article written in the English language. More of these in a separate post soon. Nick Hull: Land Rover Design and David Bache, 1950s-1980s. A fascinating look at the creations of this largely unsung hero of British postwar car design. Ivan Dutton: Type 35 Bugatti, my passion. A delightful autobiographical journey through the life of one of the UK’s foremost Type 35 Bugatti specialists, illustrated with real Bugatti axles, clutches and other beautifully crafted parts – both original and faithfully replicated. Anders Ditlev Clausager: Replicas or fakes – that is the question. Delivered with Anders’s usual panache and intellectual rigour, this was a forensic destruction of some very shady practices. Caveat Emptor! John Brooks: Bentley’s return to Le Mans & victory in 2003. Beautifully told and illustrated, as we have come to expect from John. How do you get the development of a successful racing car past the bigwigs in VW? With difficulty! And what car can match the quality of the talks? A Talbot 105, naturally! Brought by Roesch Talbot specialist Ian Polson and seen here at the hotel in the morning, it was later driven home, open, by Ian. That is, after all, what these cars are for!